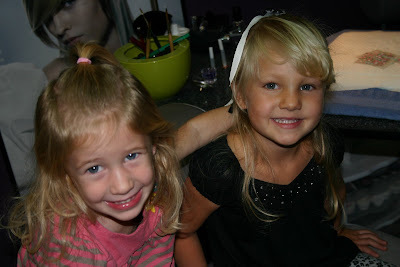 Nana Benson took the 2 girls out to get their toes and fingers painted for Jason's brother Justins wedding. 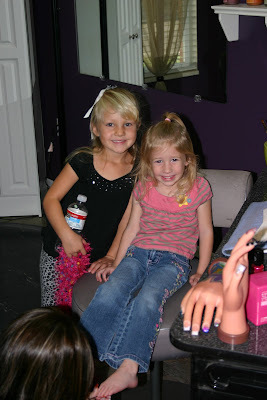 Taylor and little Jo had so much fun! They are way spoiled. 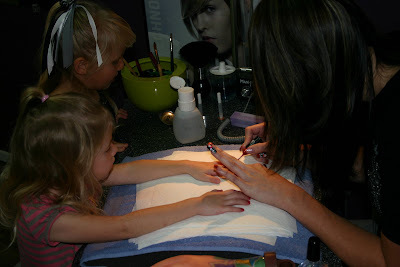 Taylor is 5 and she got her toes and fingers done more than me and I'm 33! She loves to do girly things!!!! Thanks Nana for taking them.